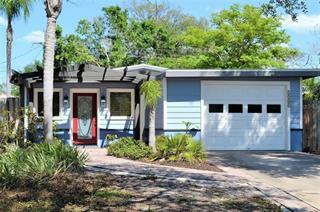 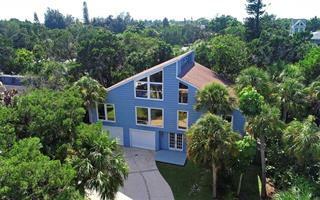 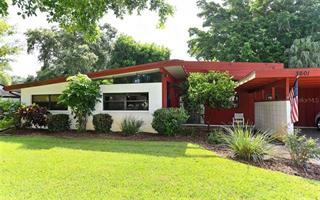 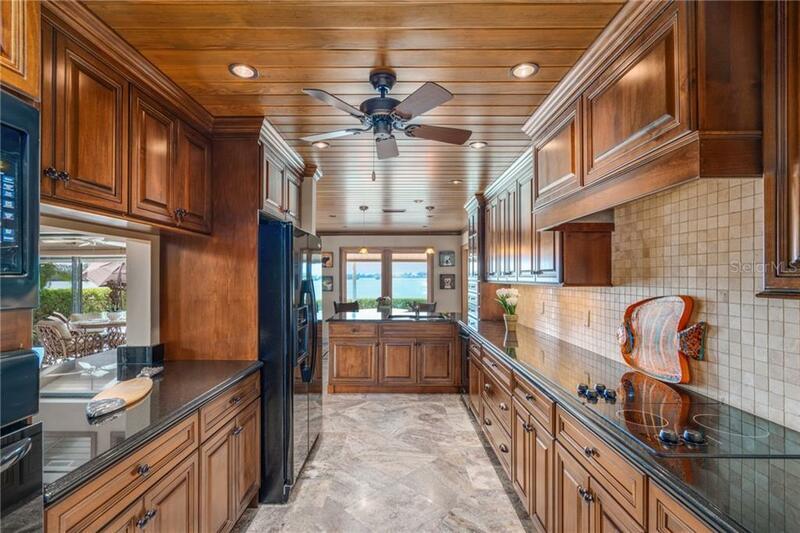 Ask a question about 808 Freeling Dr, or schedule a tour. 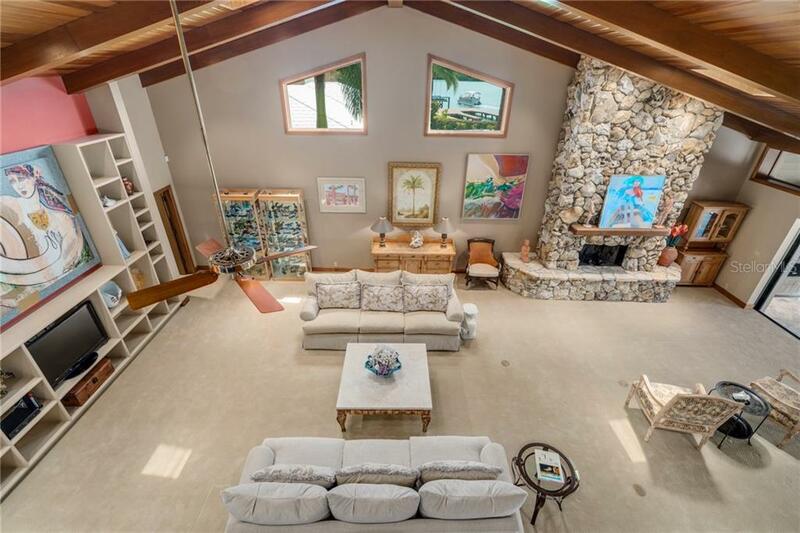 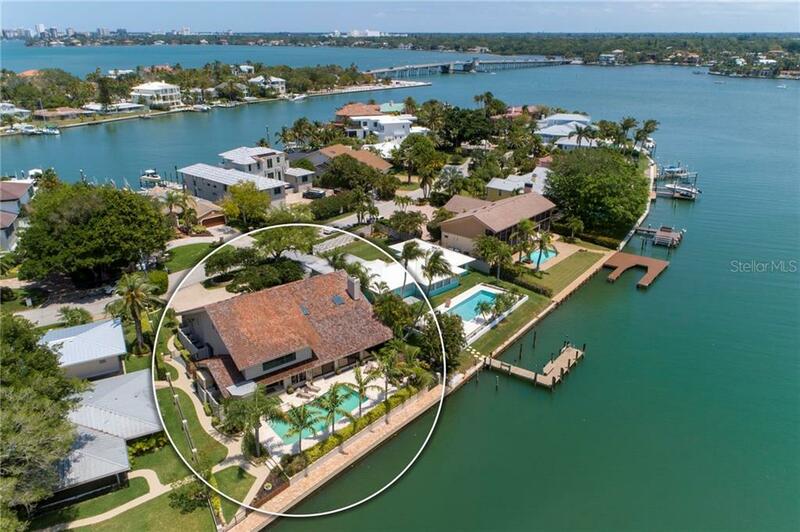 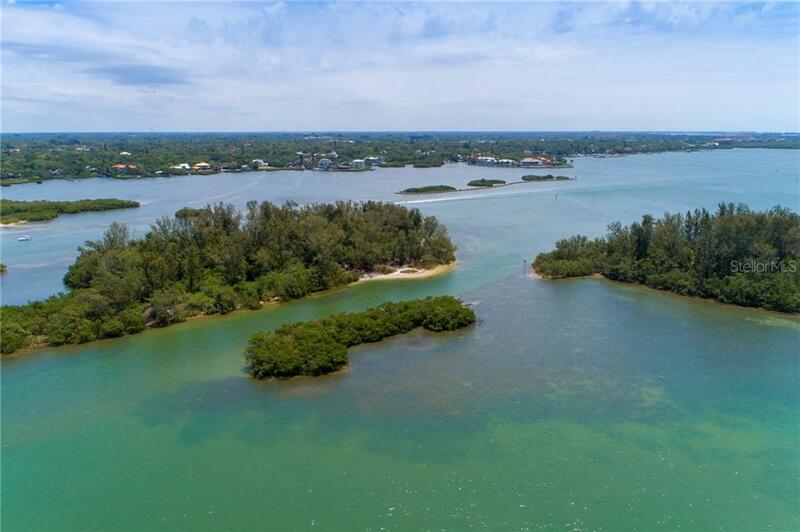 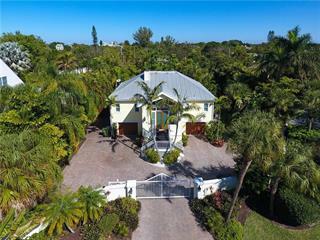 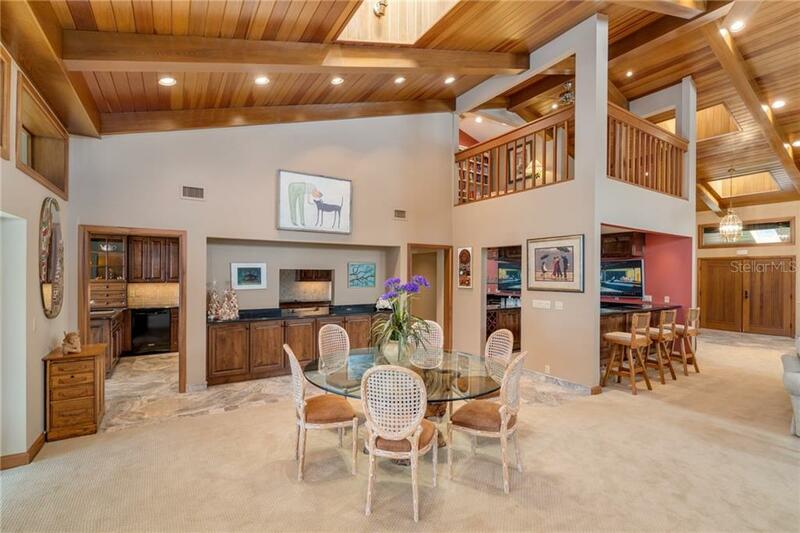 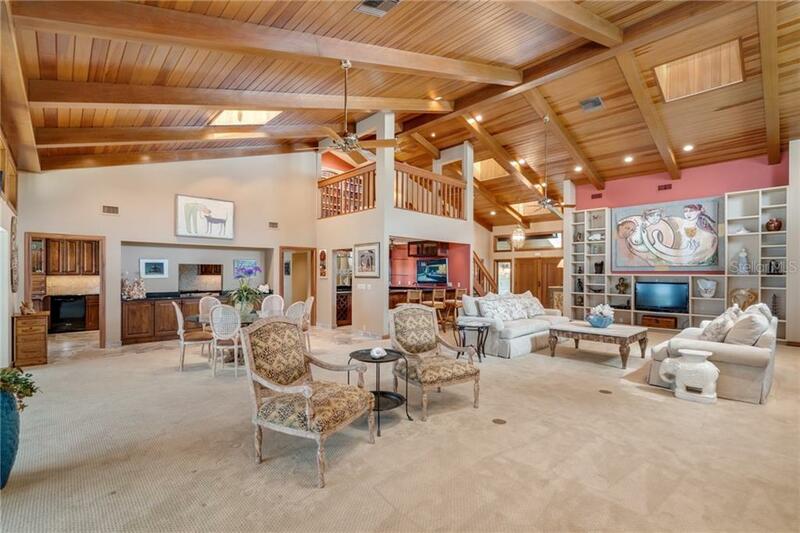 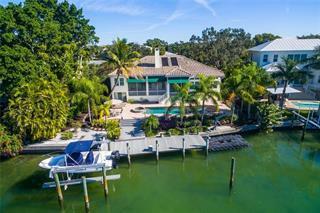 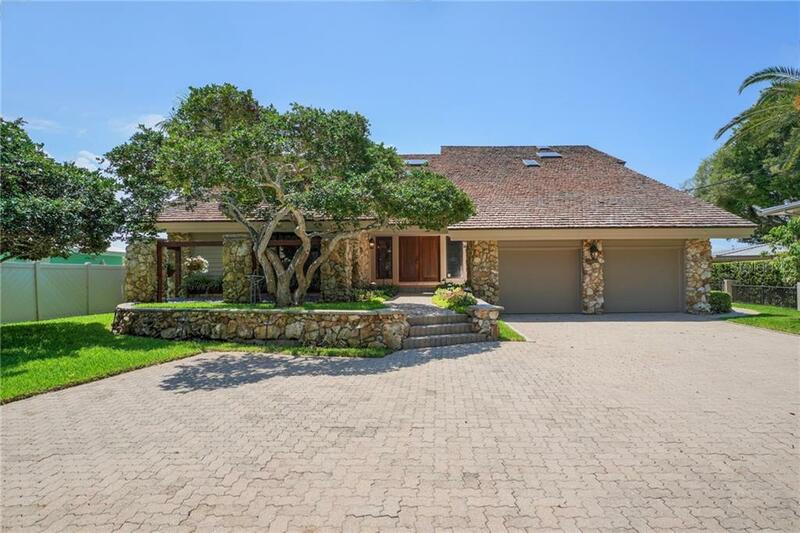 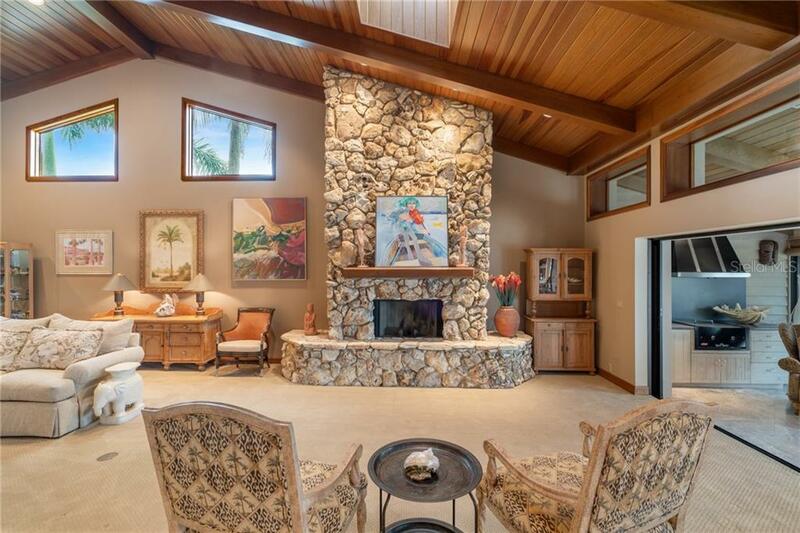 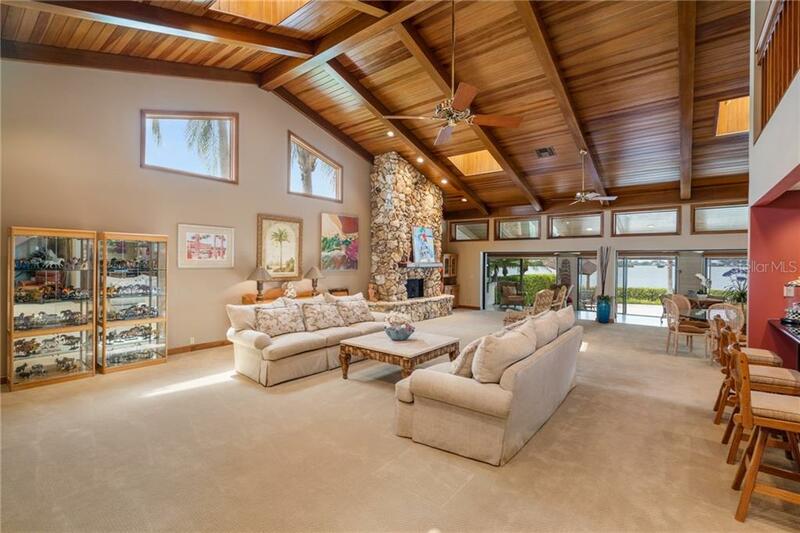 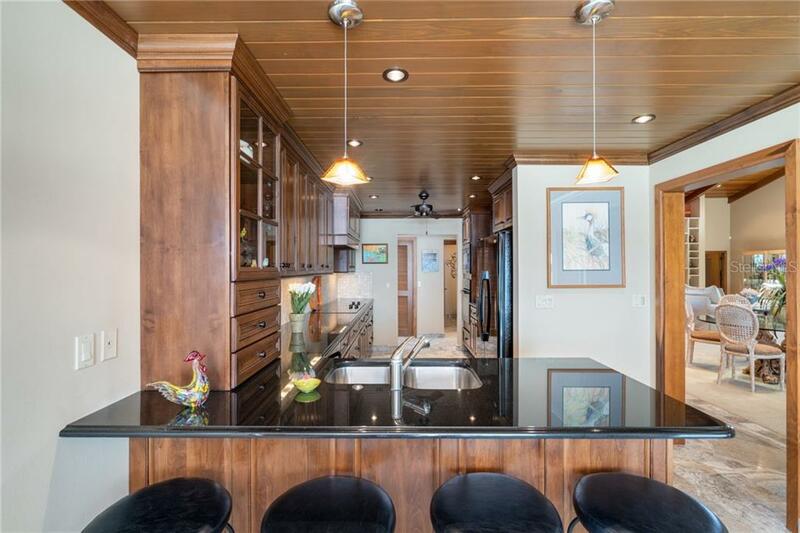 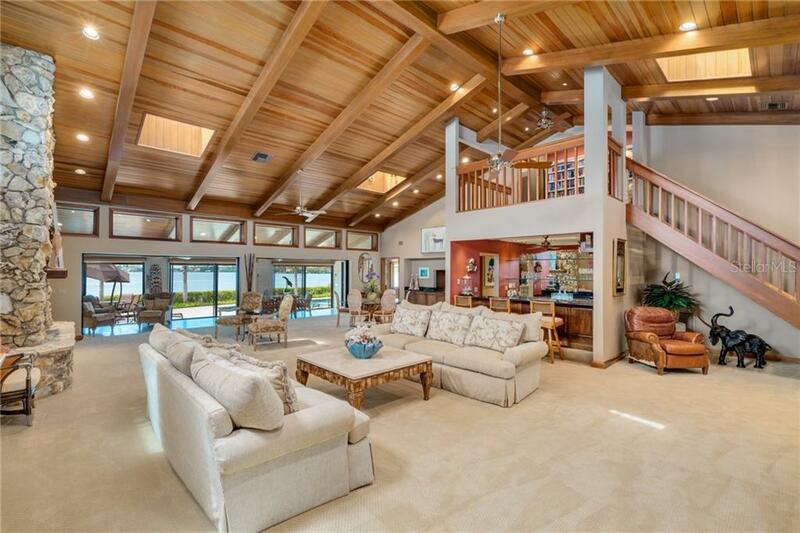 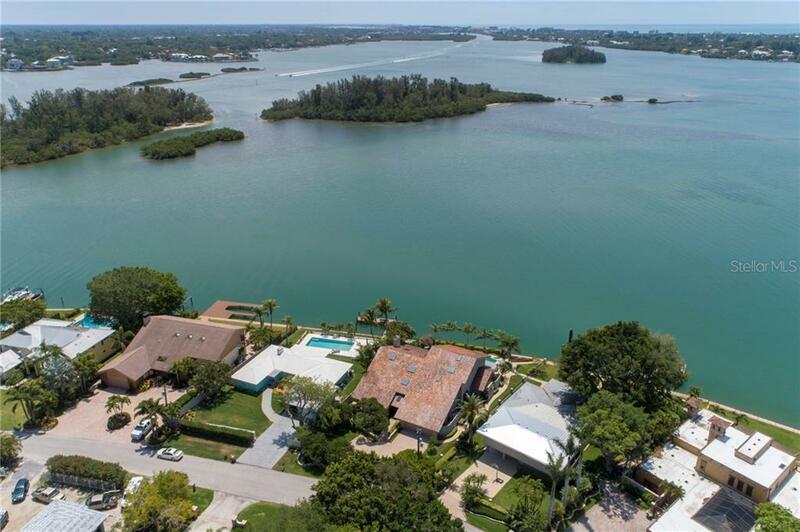 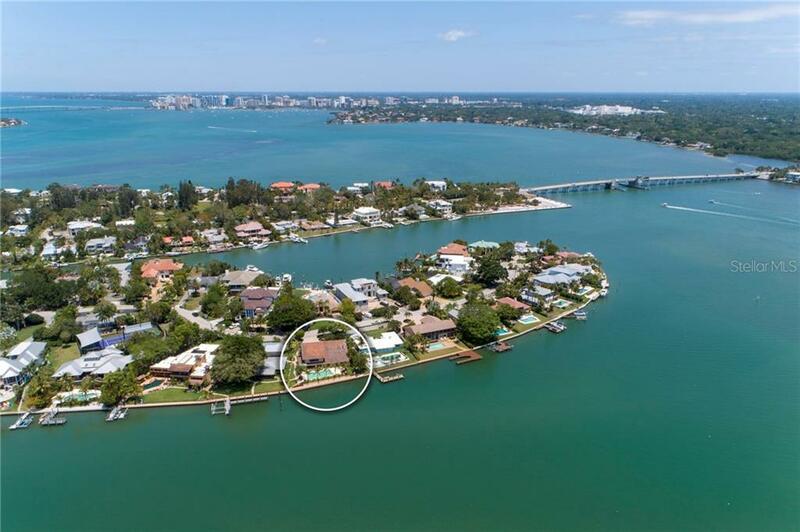 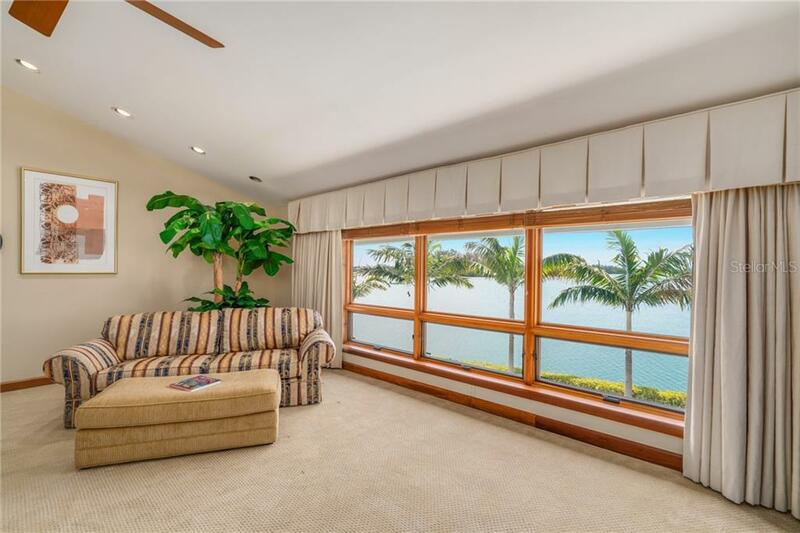 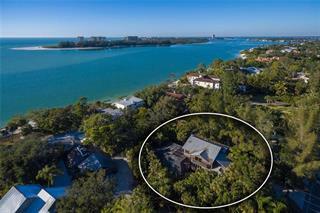 Popular among boaters and water enthusiasts, this Bay Island Shores location on Siesta Key offers 100’ of waterfront property on Roberts Bay. 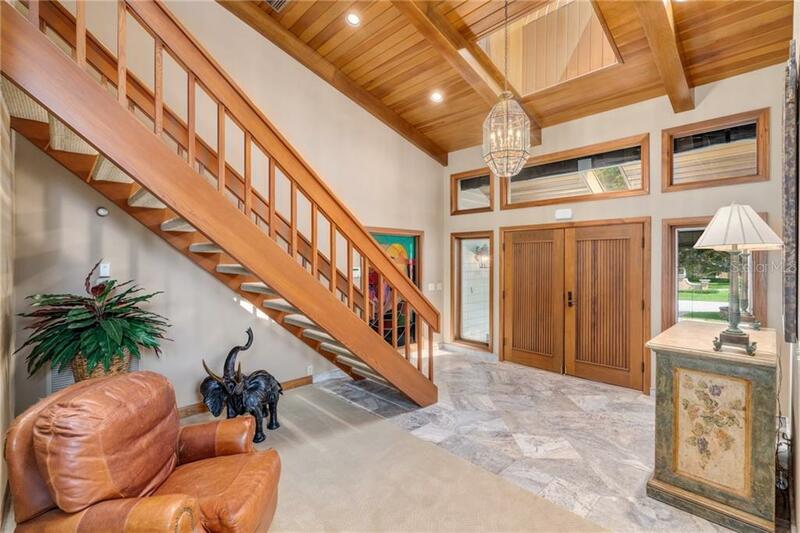 A distinctive home with an impressive great room perfect for entertaining, enhanced by the ba... more.y vistas and complimented by the vaulted wood ceilings, skylights and floor to ceiling stone wood burning fireplace. 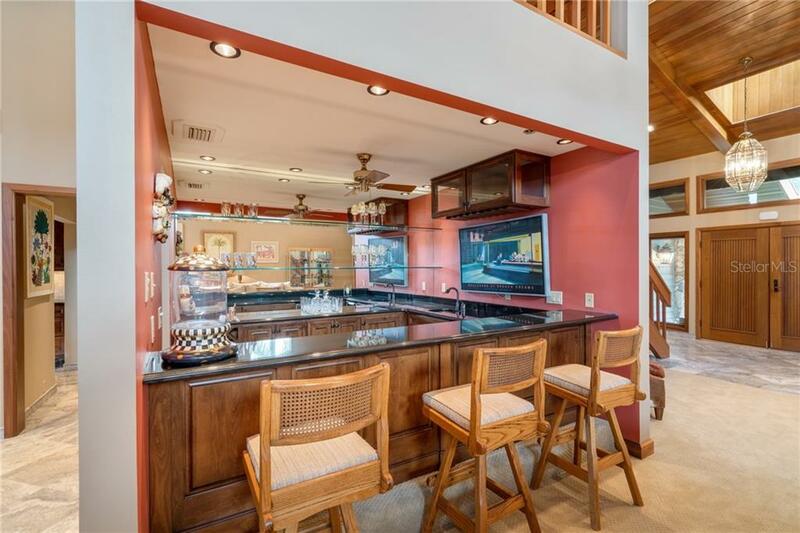 A fully appointed bar is central to all gathering areas and the glass enclosed Florida room, complete with summer kitchen and gas grill, makes year-round entertainment possible. 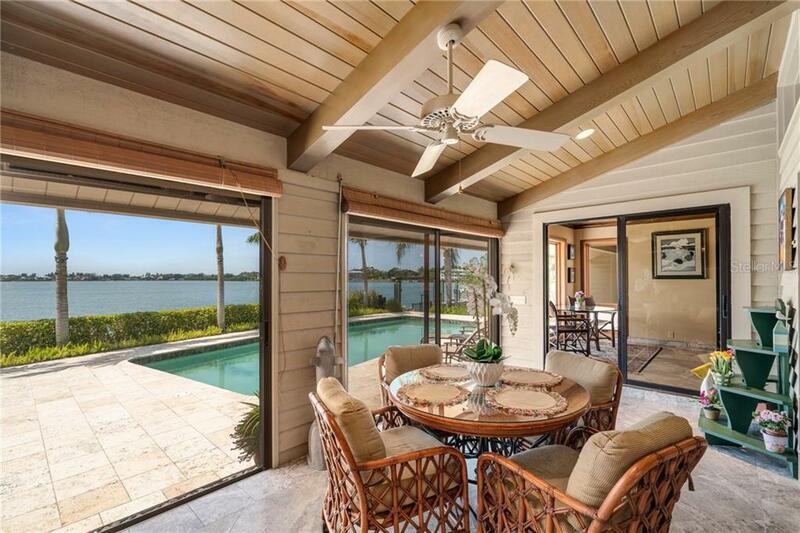 The heated pool, spa and open patio entice you to meander outside, savor the gentle bay breeze and embrace the Florida lifestyle. 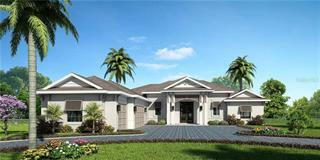 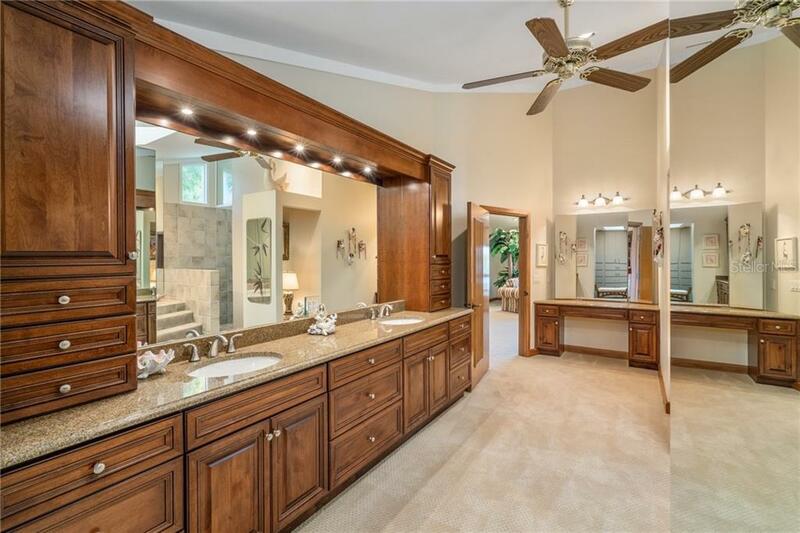 Family and guests will appreciate the privacy extended by two en-suite bedrooms and one-half bath located downstairs and the master upstairs. 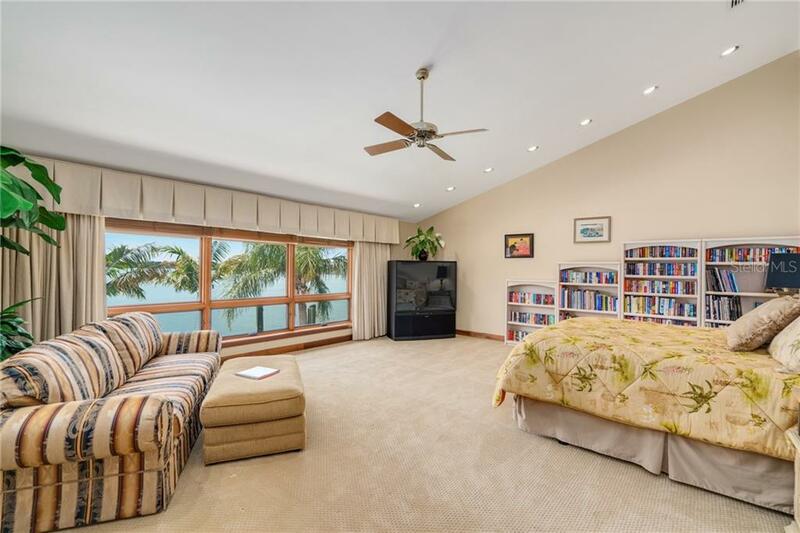 Walking up the wooden staircase or taking the elevator to the second level, you will be captivated by the mesmerizing views from the master suite. 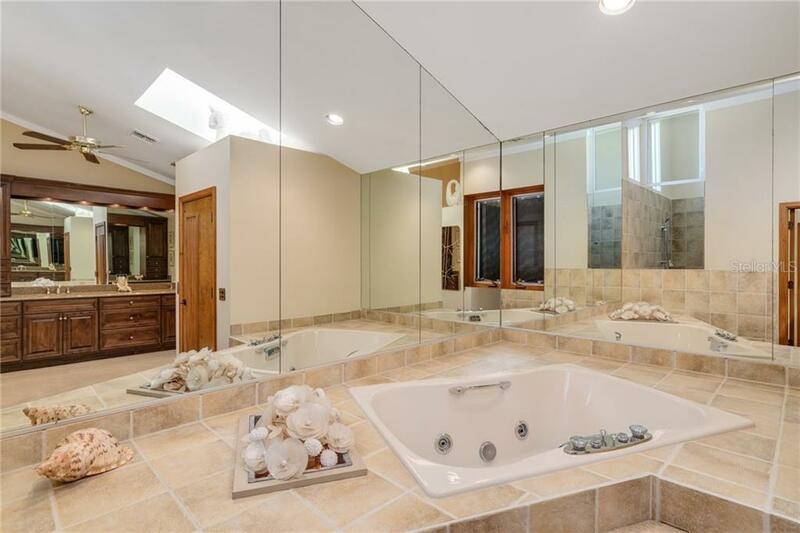 Stepping into the master bath, the lure of the sunken spa tub invites you to relax, unwind and delight in the tranquil, peaceful retreat. 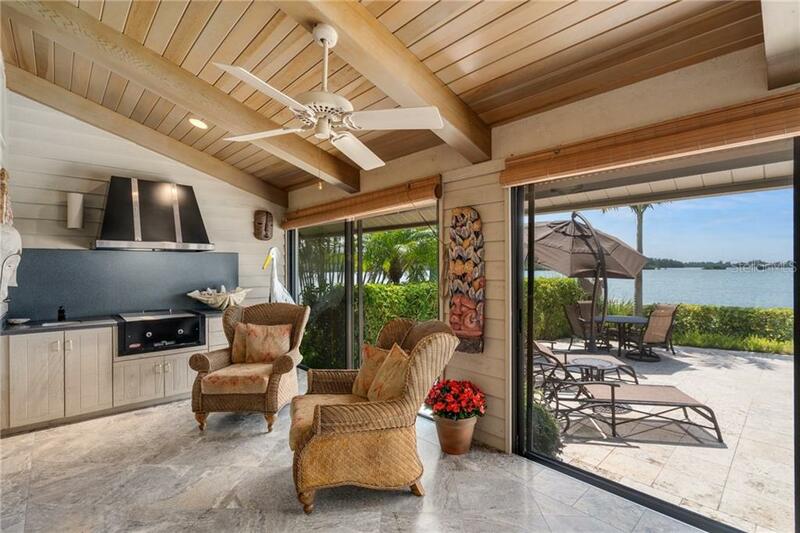 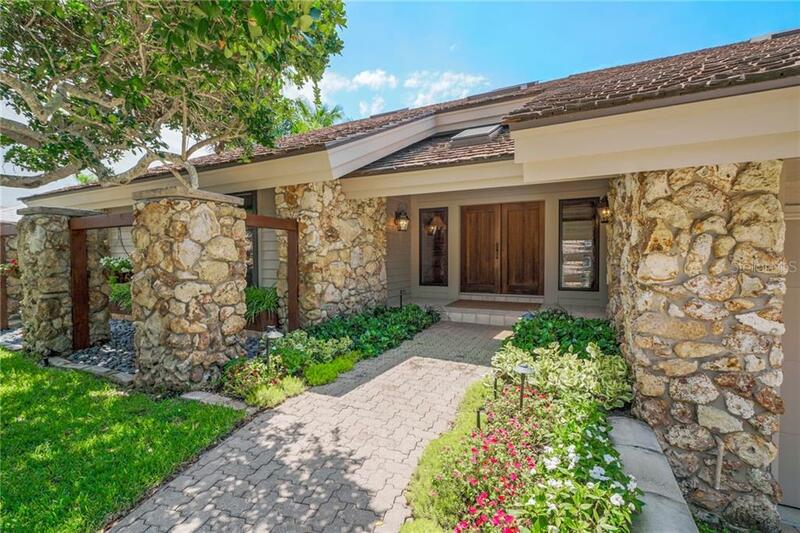 Once rested, take advantage of everything Sarasota has to offer - world famous Siesta Key Beach, shopping, dining, entertainment, museum - all within minutes, including Sarasota Memorial Hospital and SRQ Airport. 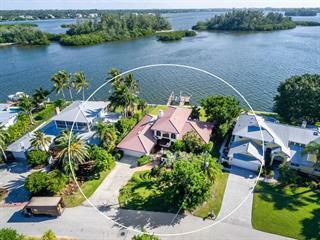 The north island location is prime; the construction is unique; your opportunity to create and transform this into YOUR home and waterfront oasis has arrived.